I’ve never had tomato jam either. But I had a similar experience with making ketchup last summer. 3 half pint jars from a Whole Lot of tomatoes! Enjoy! Haha! I never even thought to make ketchup! 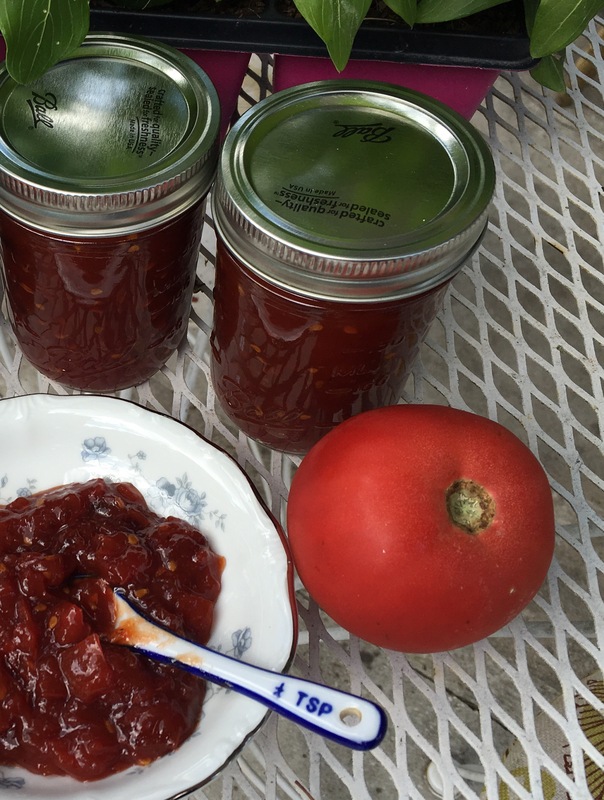 I had the tomato jam last year when we visited our son and after driving for a while, ended up in an amish store. They had jars open to taste with crackers, and I couldn’t believe how good the tomato jam was! After tasting so many different jams & jellies, I came back to the tomato section and bought a jar. The only thing I’d do differently next time I make it is that I’m leaving out the red chile flakes. It doesn’t need it! You should publish your recipe. I’d try it! That is some precious tomato jam! Yum! 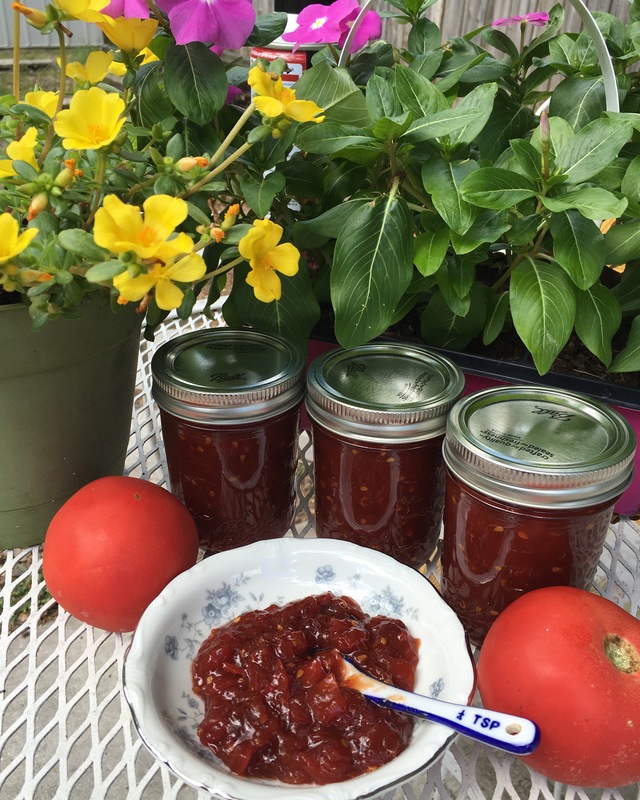 I love tomato jam looks fantastic and congratulations on canning, I am working my way to real preserving, a step at a time. Cant wait for the tomatoes to come to the market and for my 2 little tomato plants to start producing fruit. Fun! I’m hoping to plant some tomatoes soon. I also bought a great book on canning & preserving and am doing some research so I can do it more often and get the right equipment. 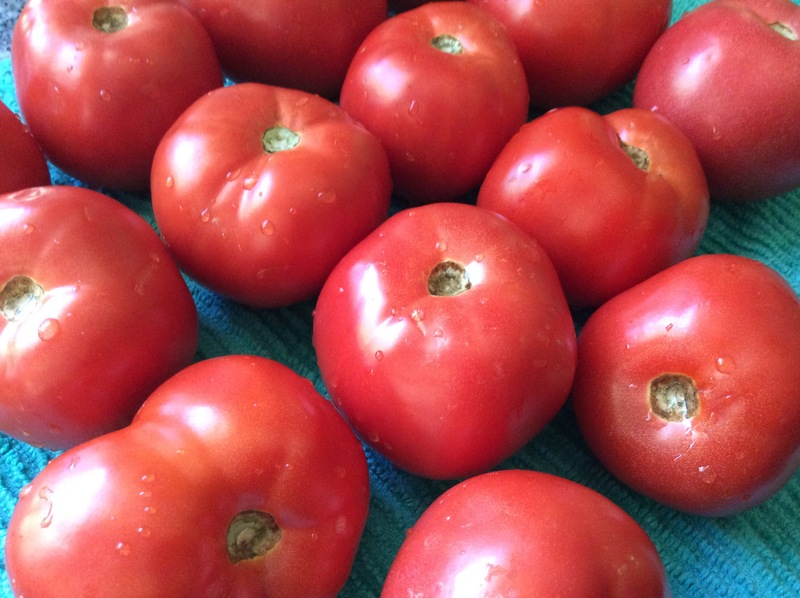 I absolutely adore tomatoes, but I have never heard of tomato jam! Your jars look simply divine. The first thing I purchased when we bought our first home as a young couple was a large canning pot! I have never looked back and have loved gardening and canning ever since! Love this Daisy!! I’ve had plenty of moments when I wondered if “this soup was ever going to turn into jam” and when I’ve let things get really close to burnt (or actually burnt to bits!). Fun to live through your canning adventure! That being said, I’ve never had tomato jam! And you are making me curious. Do you put it on toast and biscuits??? or serve it with meat? I’m planning on making strawberry freezer jam this summer with the grand-girls. My dad used to make jars and jars in the summer and give them all away– like you! Fun fun post! Love seeing all you do… hugs from here. OK, homemade bread with that tomato jam!! I can’t think of anything much better! How did the blueberry come out? I haven’t made jam much– except last year when a friends daughter got married. Three of us made 180 small jars of berry jam for favors in two days!! We were a machine! —and you’re making me want to get to a farmer’s market!! Happy canning!! hugs blog-friend! mmm. . . The tomato jam sounds wonderful.